Penetrating concrete sealer such as siliconates, silicates, siloxanes and silanes provide concrete protection against outdoor conditions. They penetrate into a concrete and form a chemical barrier whose job is to shield the concrete against deicing chemicals and stop moisture penetration. The protection provided is invisible and does not change the appearance of the surface. The products are breathable and do not allow the moisture vapor to escape. These products are, normally, used outdoor since they are meant to provide a good protection in cases where the concrete is exposed to harsh conditions. The penetration sealer is important especially when you want to protect walkways and driveways where good traction is needed. It is better than film-forming products such as polyurethane or acrylic. 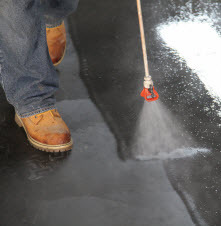 The penetrating sealer does not make the concrete surface slippery since it does not leave behind a glossy film. If your main concern is to protect the concrete, prevent concrete dusting, waterproof the concrete, or make it resist staining so that you don’t worry yourself about cosmetic finishes, using penetrating sealers for concrete could be the best option. Siliconates, siloxanes and silanes are preferred over other coatings because they can penetrate into the concrete, thus, forming a protective coating and film. The sealers impregnate the concrete and form a hydrophobic surface barrier. It makes water and other liquids to drip and also hardens the surface to resist stains and wear. Additional benefits one should consider include the ability of the penetrating basement sealers to resist mildew and mold and protect the surface from deicing salts. The penetrating sealer comes with other benefits such as thaw protection, spaling and pitting. The sealer is clear and has a natural finish even without sheen. Other factors you should considered when buying penetrating sealer are the ease of application and the expenses incurred. The sealers are reasonably priced, are long lasting and will serve you for over 10 years. They are easy to paint and apply on surfaces. You can protect your concrete without having to spend much by simply buying siliconate concrete sealer or silane/siloxane. Unlike the traditional sealers which leave a film on the surfaces, penetrating sealer will soak deeply into the concrete and may undergo a chemical reaction. The reaction creates a barrier that is long lasting and which prevents deicing chemicals and absorption of water that damages the concrete. The sealers undergo a chemical reaction and soak deeply into the concrete. This reaction could create an effective barrier that prevents deicing chemicals and absorption of water that damages the concrete from inside. When water and chemicals freeze and expand, they become destructive and corrode the inside of the concrete. The penetrating sealers block the capillaries and the pores and create a long term protection. If you are living in any of the states that boarder the ocean or you live in the northern state, salt can be a real problem that could destroy your concrete. Salt moves through the underlying structure steel making it to rust. 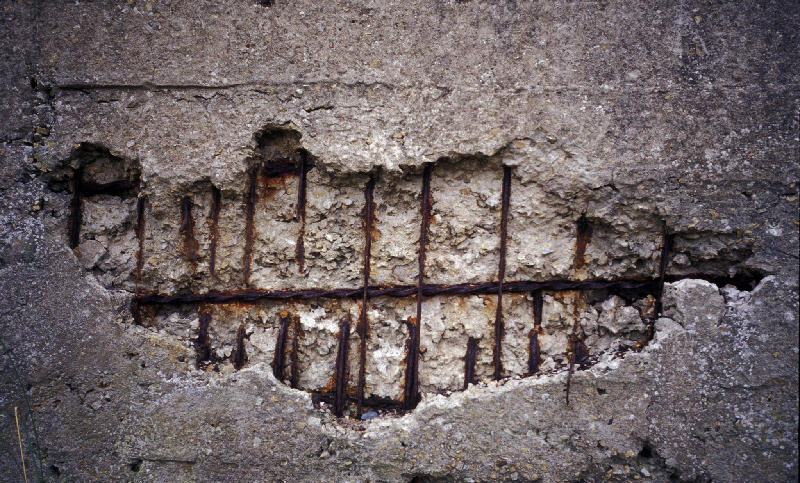 When steel rusts, it may expand and easily pop the lose concrete. This process results in potholes on highways. Deicing chemicals and salt allow the concrete to absorb excess water than it could do on its own. The more the water it absorbs the more it expands when it freezes. This creates more pop outs and spalling. Contractors will always instruct owners of the newly installed concrete to seal it completely. However, the contractors do not tell them the basics including reasons why they must seal it, how it should be done, the best product one can use, and suitable applications. The answers to these questions are not readily available when you want to buy sealers at a supply store or on the internet. Instead, you will be given false claims that do not have scientific backing. What kind of surfaces should one seal? The exterior concrete will always be exposed to freeze-thaw cycles. It should therefore be sealed. Many people do not know that New Mexico, Florida, Louisiana, South Carolina, Georgia, Alabama and most parts of Texas are freeze thaw regions. In other parts, concrete should only be sealed for specific reasons like when one wants to maintain attractive appearance, chemical resistance, abrasion resistance, dust reduction and stain repellant. What are the effects of not sealing the concrete? Concrete is porous and readily absorbs liquids. The expansion of frozen liquids in freeze-thaw climate causes expansion of frozen liquids. This could destroy the unsealed surface. Also, household chemicals, fertilizers, salt and oil could damage the unsealed concrete by discoloring them. What is the cost of sealers? Siliconates, siloxanes, silicates and silanes are deep penetrating concrete sealer and acrylic- resin sealers that will cost between 0.25$ to $0.15 per sq. ft. Urethanes and epoxies are high performance coatings that will cost about $0.50 and $2.50/sq. ft. Investing in sealers is therefore a well thought expense. The reason for this is that the cost of replacing concrete could range between $7 to $8/sq.ft. It is dependent on the type of sealer to be applied. Most chemicals react with sealers, are invisible, and penetrate into the concrete. Epoxies and acrylic resin sealers (solvent based) give the concrete a high gloss and enhances the color. Acrylic resin sealers that are water-based enhance color. Urethanes is available in a number of finishes ranging from gloss to matte. Most of the sealers are translucent and colored. Can I apply sealers by myself? How are concrete sealers applied? It is possible to apply the sealer by yourself. All you need are simple tools like a pump –up sprayer and a paint roller. The sealers you can apply by yourself include the reactive penetrating sealers, acrylic resin sealers, 50 % solids urethanes, and 50% solids epoxies. The high performance sealers like polyaspartic urethanes and 100% solids epoxies polyureas can only be applied by professionals since they require application techniques and special tools. Reactive penetrating sealers and acrylic resin sealers silicates and siliconetes should only be applied as soon as it is known that the new concrete may withstand the weight of the person who will be installing it. Siloxanes and silanes are the other reactive penetrating sealers that produce high-performance coatings like urethanes and epoxies. They should only be applied once the concrete is cured. This should take place after 28 days. Note that all sealers should only be applied after 28 days. What do the sealers repel? Sealers repel deicing salts and water. However, it all depends on what product you plan to use. Acrylic- resin sealers and reactive penetrating sealers are the best. However, if you want to repel any oil stain, it is recommended that you use siliconate, which is reactive penetrating chemical sealer. Note that acrylic resin sealers can be weakened by products such as petroleum distillates. The reactive penetrating sealers on the other hand can be weakened by acidic chemicals. If you want your concrete to resist these substances, it is advisable that you use high performance urethane epoxy system. Do sealers make concrete slippery? There are some reactive penetrating sealers which do not affect the traction or concrete surface profile. However, most topical coatings could affect the concrete surface profile and so may require that you use anti-skid additives especially in areas that are exposed to vehicle or foot traffic. Sealers penetrate the concrete while the reactive chemical sealers last longer and only wear out after the substrate surface has worn out. This may take about 10 years. It is possible to get similar performance by utilizing urethane system or epoxy. This will last between 10 and 5years depending on the traffic exposure. Acrylic resin will serve you for 1- 3 years. Are the sealers environmentally friendly? If you take proper care of concrete, it can last for several decades. When you use sealer, it extends the useful life of the concrete by many years. Thus, the sealers are important aspects of “going green’’ and so when you use them you may qualify for LEED points. Water-based products are considered the most environmental friendly. There are some solvent based sealers that are not sold in certain states. Even though, there are environmentally friendly solvents which can be used. Contacting your concrete sealer supplier can help you learn more on the regulations guiding your state.